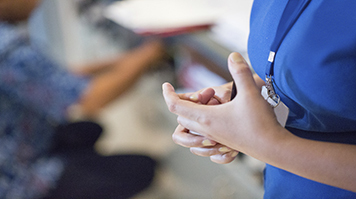 It has implications for the international nursing community and specifically to nurse education in light of the move to an all graduate profession across the United Kingdom. The project commenced in 2010 and was completed in 2012. It was carried out by academics from our School of Health and Social Care under the theme of Workforce Innovation, Development and Education. The funding body for this project is the General Nursing Council for England and Wales Trust. Members of the LSBU project team were Prof. Joan Curzio, Dr Louise Terry and Graham Carr. To find out more about other academics search our People Finder.